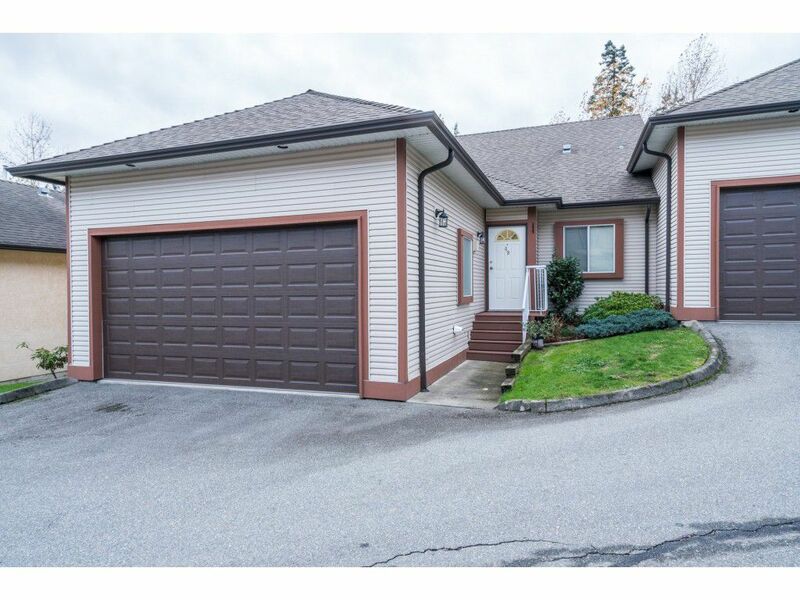 This Spacious, ONE LEVEL, End Unit Townhouse with newer paint and some newer flooring is located with easy access to downtown Maple Ridge and allows for quick access to all major commuting routes. Featuring Three Large Bedrooms, Two Full Bathrooms, including a Spacious Master Bedroom Ensuite. 3rd Bedroom features brand new never used before Murphy bed with integrated Work Desk. RARE Double Side-by-Side Garage, Open Floor Plan with 9 foot ceilings and Gas Fireplace. Stonehouse Estates is a well maintained Pet and Family friendly complex that allows two dogs or two cats or one dog and one cat with no weight restrictions. Walking distance to Kanaka Creek Elementary. West Coast Express is just down the road! Call today! OPEN HOUSE Saturday November 18th 12-4pm and Sunday November 19th 12-4pm.